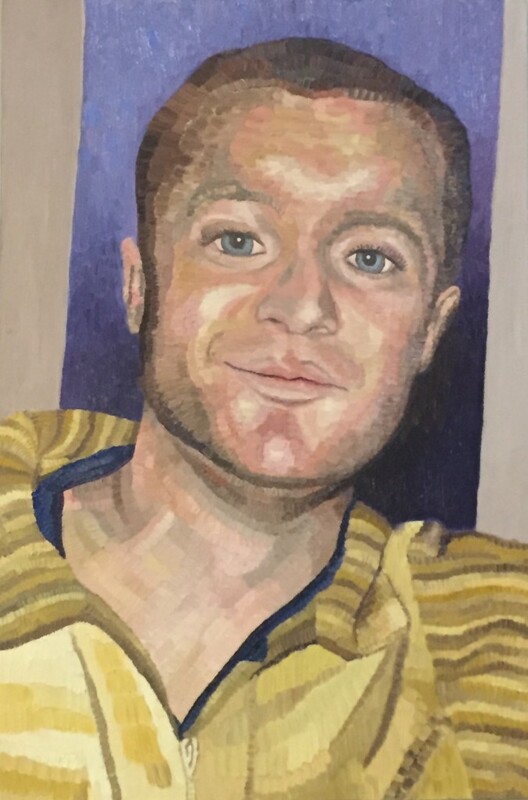 My first painting this year was a portrait of my brother, Timothy. I had the painting on the go for a year, and finished it during my January holidays. My dear brother passed away 4 years ago of a physical illness none of us knew he had, including himself. So I lost my only brother. But he has been a companion in my studio for some time. Now that the painting is at my parents (it was their 45th wedding anniversary recently), I am keenly missing the painting, as it was a constant reminder of him. So I’ve found living with original artwork both enriching and endearing, and very meaningful. 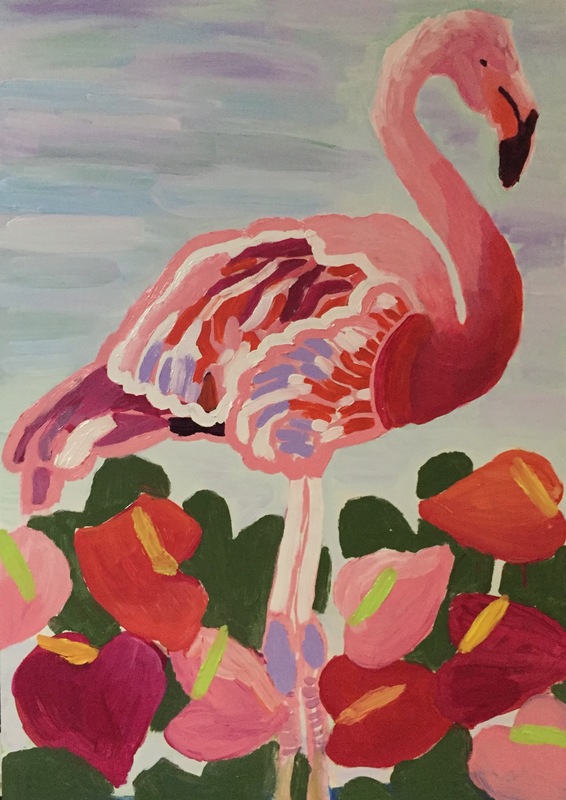 Author Elisabeth HowlettPosted on November 5, 2015 April 4, 2016 Format GalleryLeave a comment on Flamingo Fever! 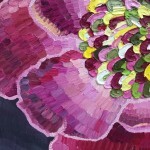 Author Elisabeth HowlettPosted on August 28, 2015 December 14, 2015 Format GalleryLeave a comment on What is a giclee print? This is my first post since I published my website. Since then, my art practice has ramped up a few notches. It has been a very exciting and productive time for me. I have taken a couple of opportunities which have arisen. 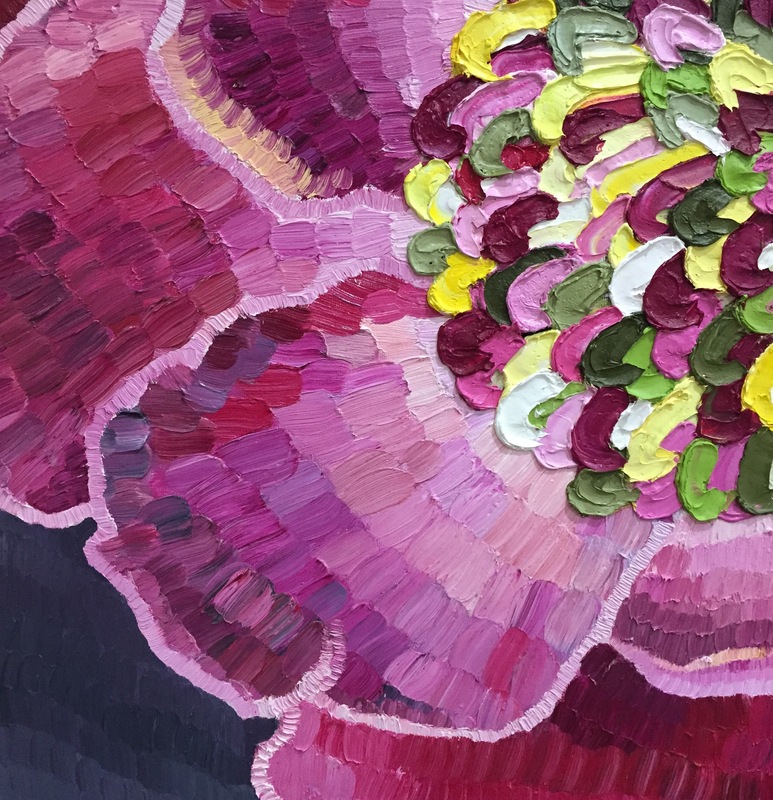 Adelaide Hills Point of View – Artwork inspired by your perspective of the Adelaide Hills. My entry, an oil painting entitled Camellia, 76 x 76 cm, is inspired by winter trips to the Mt Lofty Botanic Garden with my then finance, Simon. All rugged up and in love, with lots of camellias, everywhere. This painting was completed in late 2014. The exhibition is in its 2nd year, and apparently it was very popular in its 1st year. So it is going ahead next week, as part of the SALA festival.